The whispers began late last year. 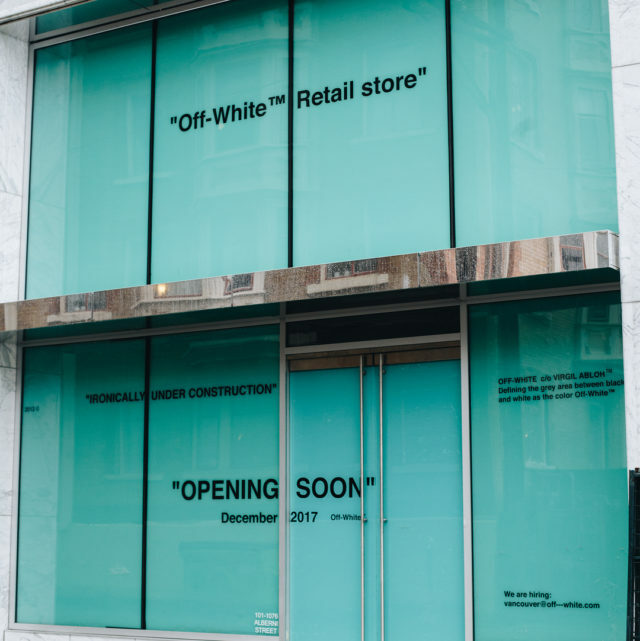 Off-White was coming to Vancouver. Rumours swirled about timing and various locations were bandied about. Then a single Instagram post on December 1, 2017, on the @feuilleluxury account showed the world the branded, yet anonymous, storefront—and so the countdown began. December 2017 came and went, then January, February, and so began the Ides of March. Imagine my surprise when I got the call to visit and report in early April 2018. 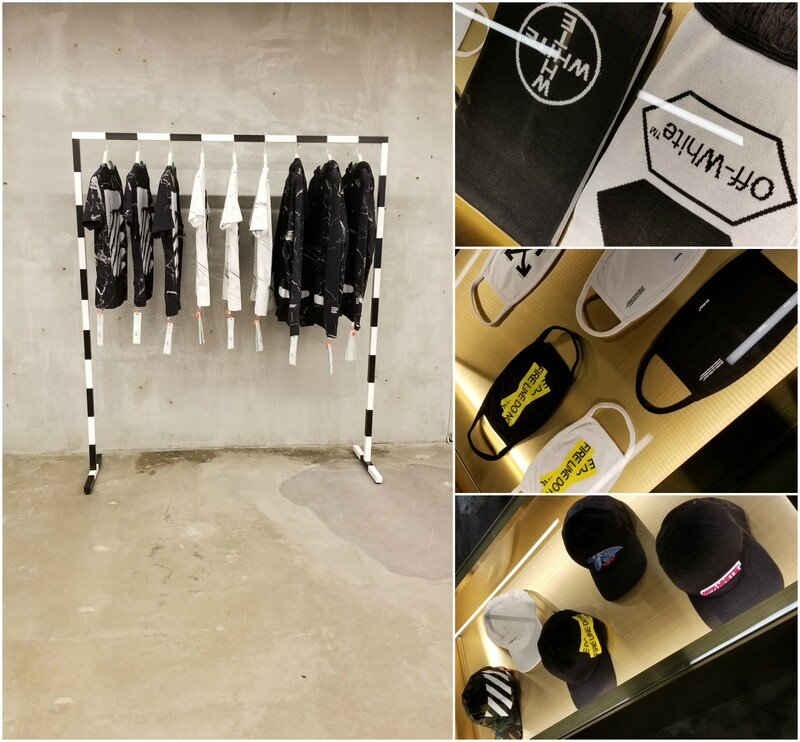 A few days later, slightly delayed the late arrival of a crucial handrail, I visited the location off Eihu Lane and captured the interiors as the last few hours of merchandising was underway. 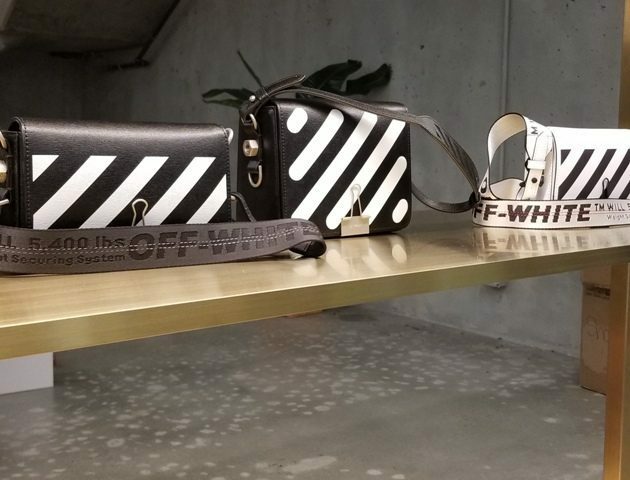 Canada’s second Off-White opened at 11 am on April 5th with a soft click of a lock. Unannounced and without fanfare. 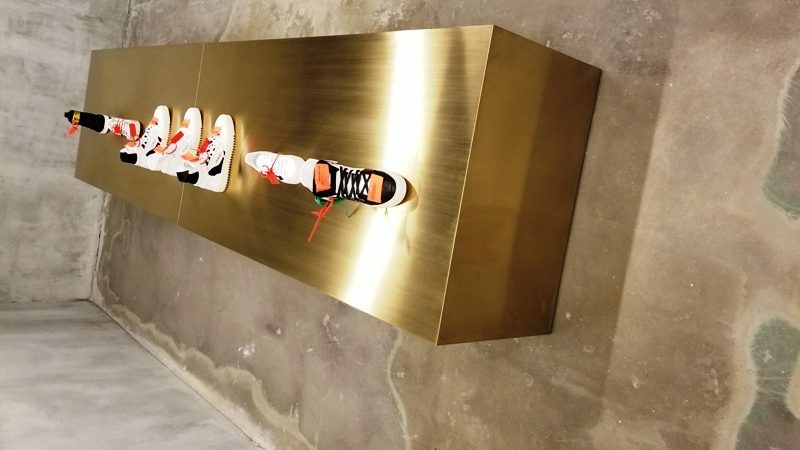 The store spans two floors, measuring in total more than 400-square-metres. The contemporary style of the brand pervades the new space, with contrasting architectural elements and colours. 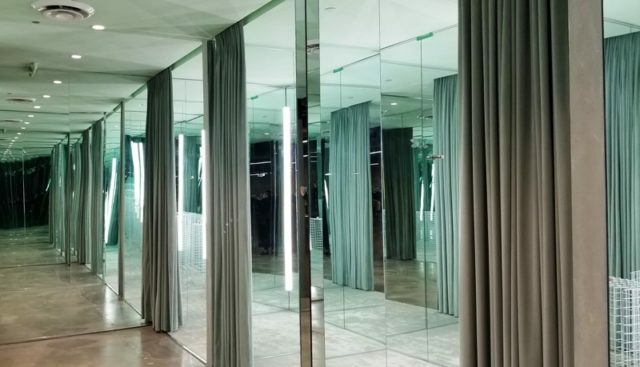 Bare concrete defines the space from floor to ceiling, while modern design permeates with mint green velvet curtaining and carpeting in the same tone. 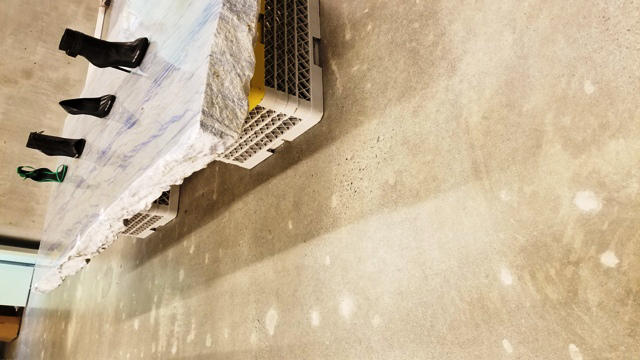 The raw feel is punctuated by luxury details such as brushed bronze display units brought in from Hong Kong and display tables crafted of crazy heavy marble slabs from Italy balanced on restaurant dish racks. 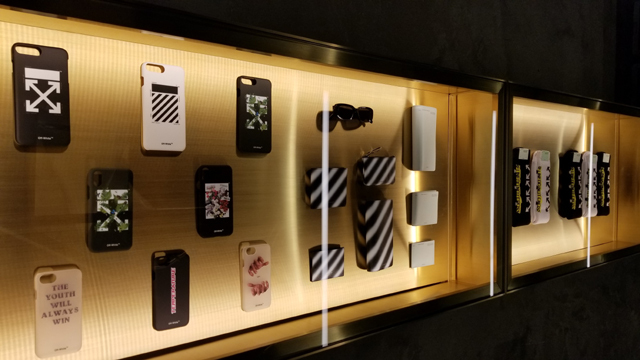 With the companies founder and CEO Virgil Abloh’s recent appointment as the Artistic Director of Louis Vuitton Men’s Wear, will make an appearance at any opening events a non-starter, Retail-Insider’s Craig Patterson spoke with him at the Off-White opening in Yorkville. Abloh spoke at length about how the younger generation is changing the world of fashion, as well as cities themselves. “Youth culture is a powerful thing,” he said, noting that the younger demographic is able to “rebrand cities and give them a different light, as well as create new impressions of cities that have been here for generations.” Abloh noted that there is a “passing of the baton” with youth “developing new ideas that are redefining cities, globally.” It would have been interesting to hear his take on Vancouver and our city’s obsession with wealth and luxury, as well as being a leader in both environmental and animal protectionism. 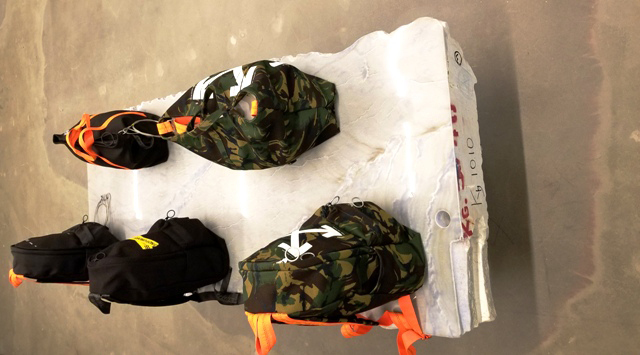 Unique to Vancouver is the offering of an exclusive collection entitled MARBLE. 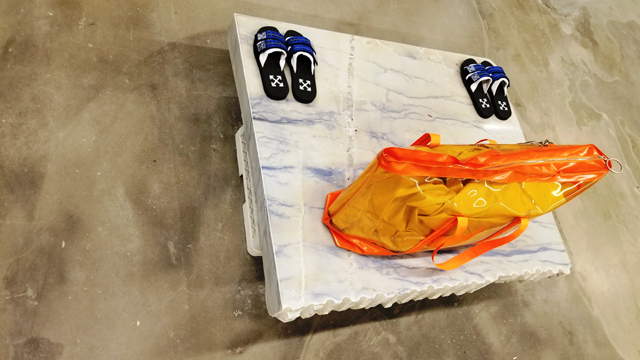 All items in the 4-item limited edition series contain a black and white graphic element inspired by marble veining and is composed of short-sleeved tee shirts, a hoodie, and an Industrial belt. 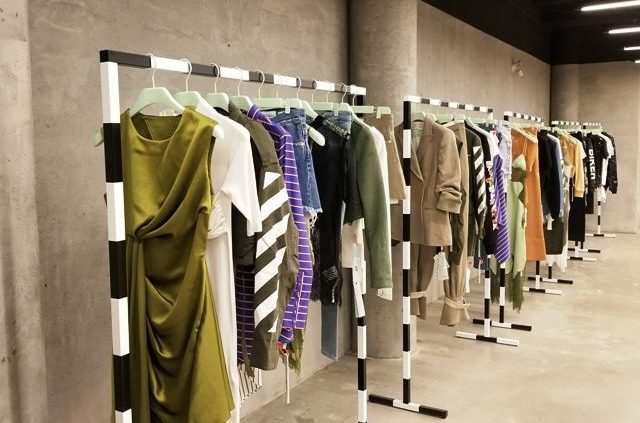 Abloh’s approach to fashion is marked by a conceptual and deconstructive attitude, questioning the conventions of the industry and refusing to take traditions of tailoring, construction, or wardrobe for granted. As such, he often highlights and objectifies the terminology of fashion and its various apparatus, putting thematic and descriptive words in quotations to free them from their historical meanings and open up new avenues of interpretation. This collection, temperature, is no exception, inviting viewers to think about the various meanings of this word as it relates to fashion and the world around us, placing his clothes in an active, present context where one might contemplate what is hot in style circles, reflect on definitions of cool, or see the collection in the heat of the moment among other climatological metaphors. The clothes themselves are deconstructed, intellectualized garments that subvert expectation and become blank canvases upon which the context of the wearer can be projected. 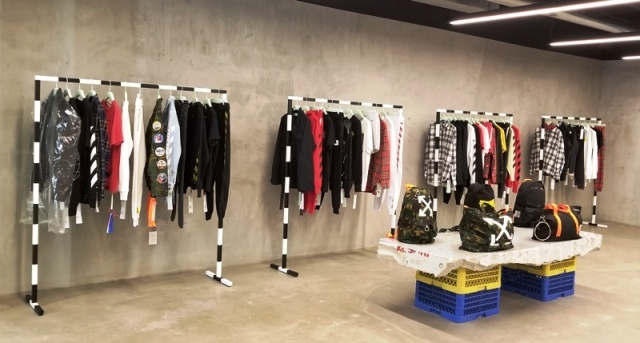 Established in 2013 and based in a design studio in Milan, Off-White has been defining the grey area between black and white as a colour with season after season of in-demand but many times, contentious collections. 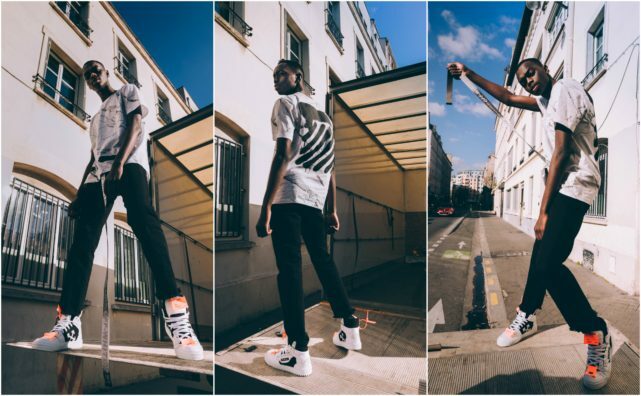 Although Abloh operates with a clear vision of the reality of how clothes are worn and the artistic expression of high-fashion, exploring concepts in the realm of youth culture in the contemporary context can sometimes be a minefield when it comes to pleasing both the public and his peers.